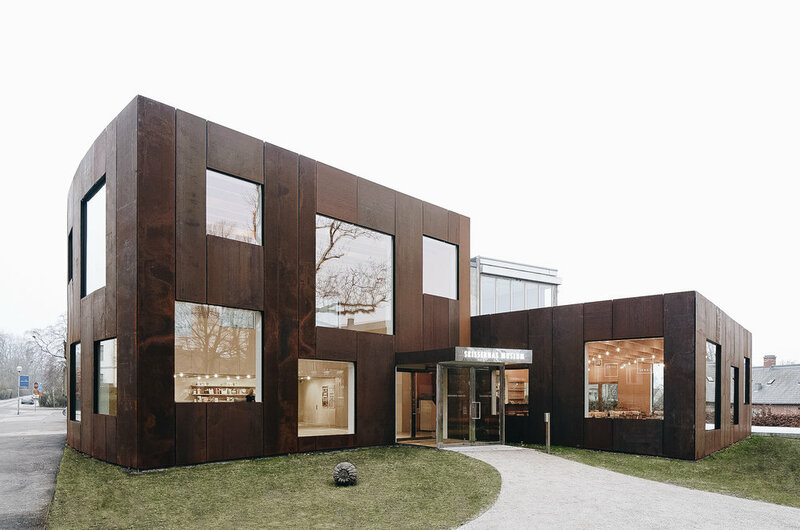 Architecture practice, Elding Oscarson, has released their recent extension project in Sweden of Lund University's Skissernas Museum, incorporating Corten steel. Designed adjacent to the museum's sculpture park, the new extension creates a facade to introduce a new entrance, museum shop and dining area. From the designer: “The new addition of slightly bent volumes is projecting itself into the existing sculpture park, releasing its grip of the street grid and instead latching on to the diagonal approach through the park.” View more of the project below, and make sure to view more of Elding Oscarson's projects here. Photography by Åke Elson Lindman. Link to the Skissernas Museum here.